Relax-and-Recover is an easy to setup and maintenance free migration & disaster recovery solution compatible with CentOS, RHEL, OEL and many other known linux distributions. 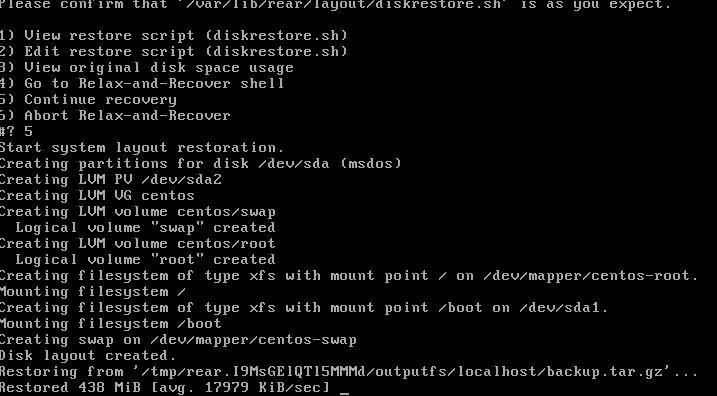 It has capability to detect hardware changes and preserves the last condition of the operating system including its partitions, boot loader configuration, all the system data etc if you are restoring linux servers backup images to dissimilar hardware. 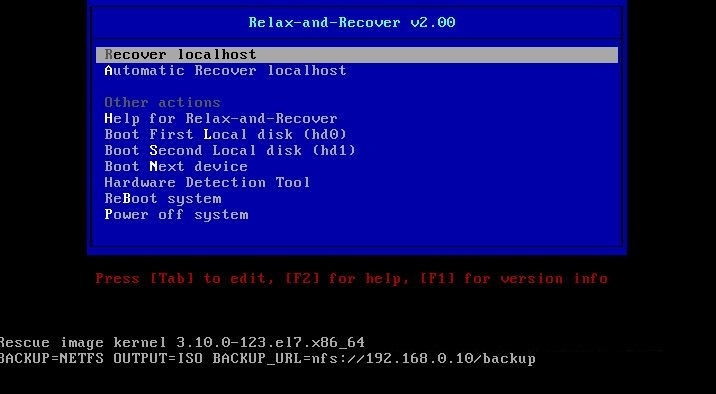 This step by step guide will show you how to use Relax-and-Recover and create a bootable USB backup for your critical linux environment. 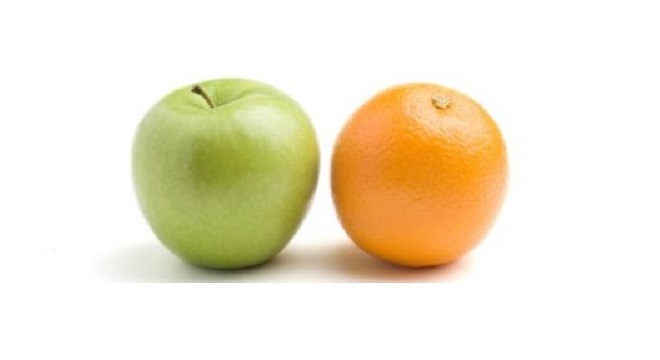 For this tutorial, we are using CentOS 7 but you are free to use linux distribution of your choice. First, you need to create an NFS Share to store all of your linux servers backup images. To install NFS utilities on your linux machine you have as a backup server. Run the following command to install it with root privileges. When you are done installing nfs with above command, create nfs share directory and make it accessible from all of your linux servers you are going to take backup using the following commands. Now restart nfs service to take changes effect using the following command. To install relax-and-recover package and required dependencies, run the following command with root privileges. Once installation completed. 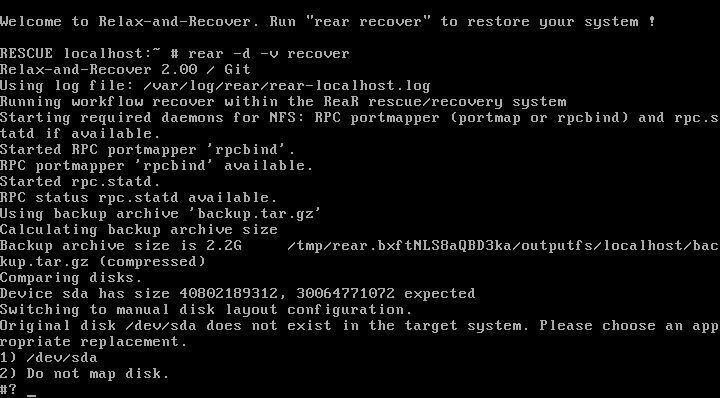 Open the relax-and-recover configuration file /etc/rear/local.conf and define backup store location of nfs we have created earlier. 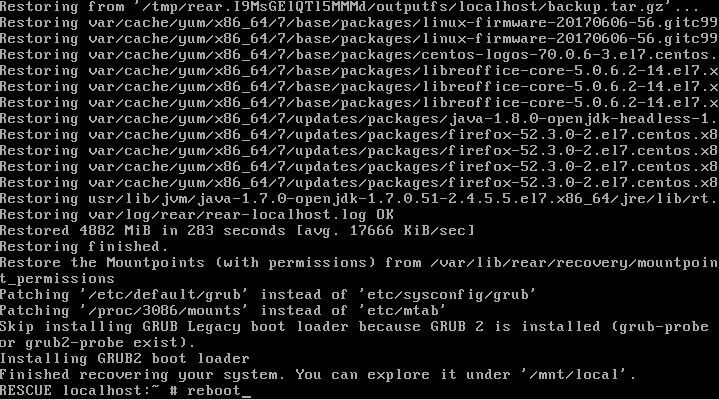 To take the backup image of your linux server, run the following command with root privileges. This will begin creating an ISO image of your linux server and store it locally under the directory /var/lib/rear/output and then it will automatically move all the files along with backup ISO image to NFS share. Let's test recovery method with newly created backup image of our linux server. For that, we need to burn the following ISO file on CD or DVD. 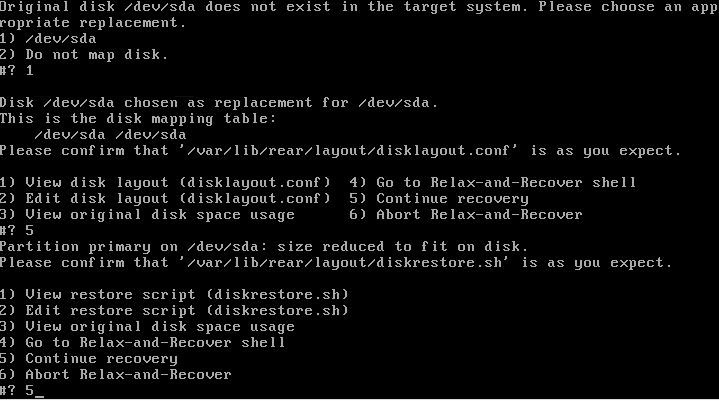 Booting server with the same bootable CD present the following relax-and-recover menu screen. Select the first option from the boot menu Recover localhost and press enter. After this, we will now have our login menu, login using root without password. Now we need to configure network settings on our system to access remote NFS Share. To add an IP address, execute the following command. Type 1 and press enter to select /dev/sda as your disk. It will take server minutes to complete the recovery. Once its done, reboot the system. You are done. Now eject the recovery CD/DVD from the system. If you want to make usb bootable with backup images of your linux servers instead of nfs share then use the following steps. Prepare your USB media. Change /dev/sdb to the correct device in your situation. Relax-and-Recover will ‘own’ the device in this example. This will destroy all data on that device. The usb device will be labeled REAR-000 by the ‘format’ workflow. Now you are ready to create a rescue image. We want verbose output. You might want to check the log file for possible errors or see what Relax-and-Recover is doing. Now reboot your system and try to boot from the USB device.